Bathrooms are a great space to unwind! 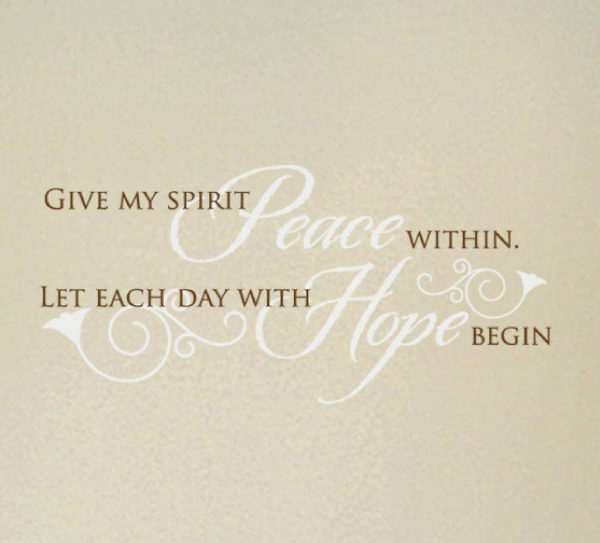 ‘Give my spirit peace within. 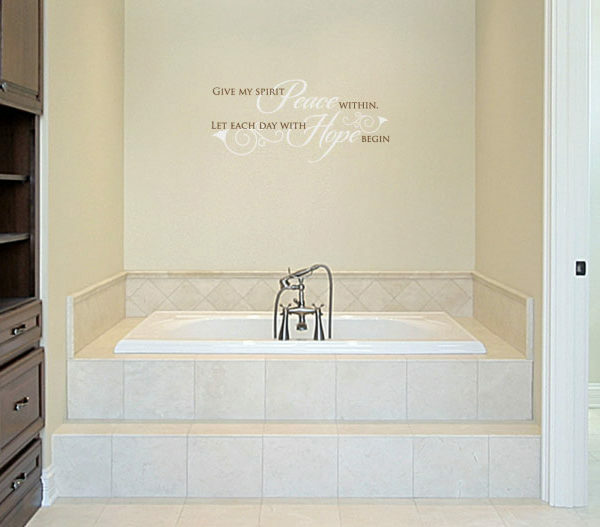 Let each day with hope begin’ wall letters are just right for this elegant bathroom! They found a home on the wall space above the bathtub. The two colored wall words are the focal point and tie in with the decor in this room. The mirror, glass shower, recessed lights and bathroom cabinets are not only practical items but are also amazing accents! This is the perfect spot to catch up on ‘me’ time! Are you looking for unique and eye catching wall decor for your bathroom? We have just the thing for you! Have a look at our website and ‘By room’ category. You will be pleasantly surprised! 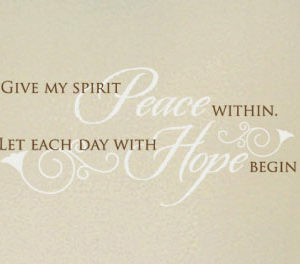 We have a number of quotes from our library. Select one or submit your preferred quote if we do not have it. Our designers are good at what they do. 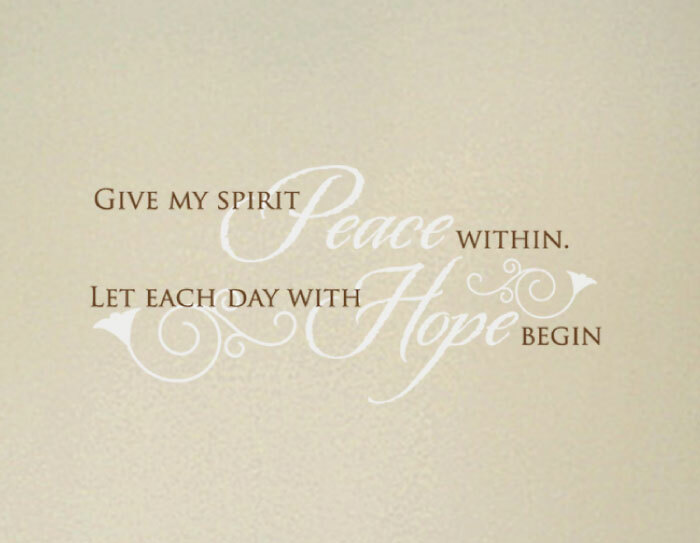 You will end up with wall decals you shall enjoy for years to come! Bathrooms are moist places. Our wall lettering is durable. Temperature changes in this room will not be an issue. Now that is practical decor! To cap it, they will look good every season! Do you live overseas? You too can enjoy our products: we ship worldwide! Get in touch. 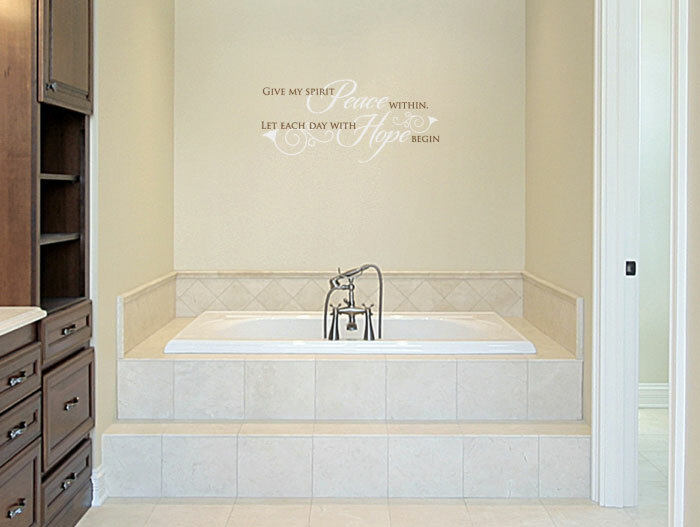 Let us help you decorate your bathroom with wall words that will put you in the right frame of mind, daily!